Ask most people what they imagine by the phrase ‘novelty bet’ and they’d probably mention having a wager on who will win the Oscars or the name of the next baby born into the Royal Family. The truth is, however, that there are significantly weirder bets you can place than that if you’re willing to look hard enough. As you might have guessed from the title of this piece, one such bet is placed on the end of the world. Yet just as you might ask whether a tree falling in a forest makes a sound if no one is there to hear it, so too is it worth wondering whether placing a bet on the apocalypse is all that useful if you can’t collect your winnings. 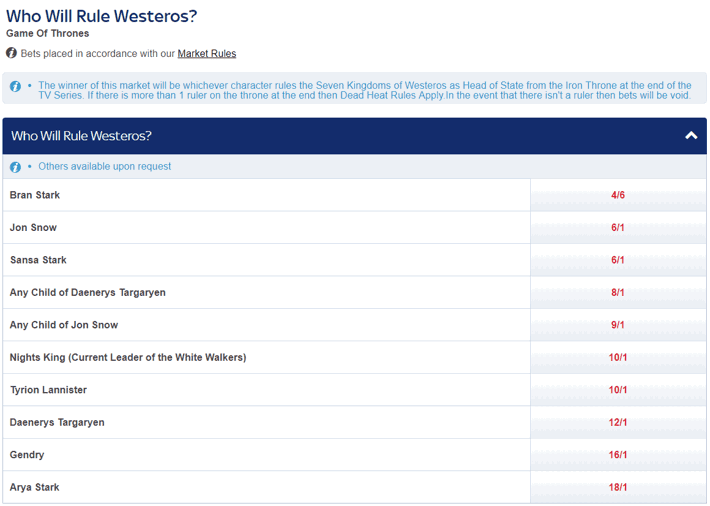 You could also find odds on a ‘Deadpool’ style system for the same TV show, seeing who will die first in a series. Bookies aren’t stupid, so if there’s something that someone wants to bet on and they think that there’s enough of an edge in it for them then they’ll be sure to offer odds. The good news for us is that that gives us a wealth of weird bets to be looking at. When it comes to betting on the end of the world, there are two main types of wager that you can place: when it will end and how it will happen. Let’s look at the latter one of those bets first. It’s something of a cliché in the UK for the Daily Express to run articles on the end of the world every now and then, with September of 2015 offering the prime example of this habit. This was because of the Blood Moon that occurred on the 28th of the month, leading to many people speculating that Christ would return and the world would end. Never a firm to shy away from publicity, however ridiculous the reason, Paddy Power offered odds on when the end would happen, though it’s fair to point out that they didn’t exactly ingratiate themselves with the people who were likely to believe it; they referred to them as ‘a bunch of whackos’, even specifying that they were ‘Jewish mystics, Christian fundamentalists and self-proclaimed prophets’. Regardless of their lack of respect for the loons who thought a big moon might indicate the end of the world, the bookie was happy to offer odds of 200/1 on it happening on the day of the Blood Moon and 250/1 if it happened any time in October 2015. The fact that we’re all still here means that anyone who took the Irish firm up on its odds will have been left disappointed. 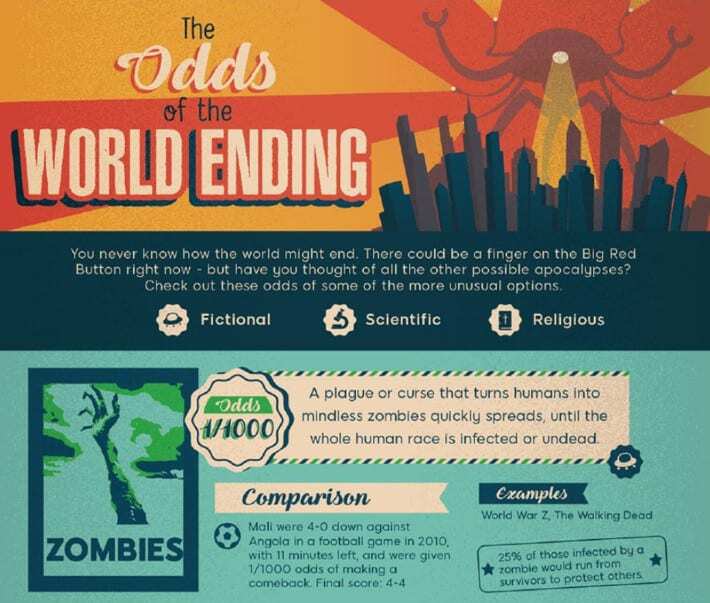 If you thought that betting on when the world will come to its conclusion were a vague thing to be looking at then you’ll be knocked over by the number of scenarios that 888 have collated odds for on how it will finish for us all in an infographic dedicated to possible outcomes. It’s crazy that the bookies thought Leicester City had less chance of winning the English top-flight in the 2015-2016 season than plants and trees becoming sentient and killing us all, Day Of The Triffids style, but that’s where we are. 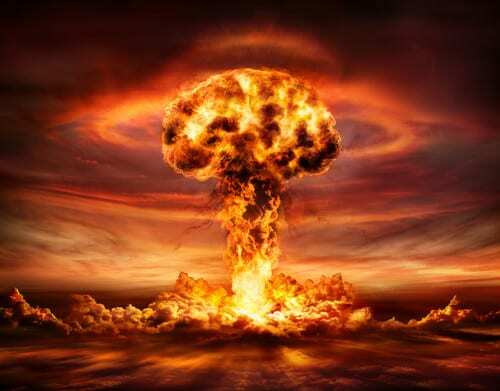 Other methods of the apocalypse include giant monsters, a pandemic, the four horsemen of the apocalypse and the Large Hadron Collider creating a black hole that destroys everything nearby. In terms of a realistic bet, should such a thing exist, the one with the worst odds is the sun consuming the earth. The odds offered on that are 1/1 and are as short as they are because scientists say that it will definitely happen at some point, it’s just a matter of when. Think happy thoughts, basically. Normally when you bet on something you tend to hope that your bet comes in. Obviously in the case of the apocalypse, that’s not really true. There will almost certainly be some people who are keen to meet their maker, but in doing so they’ll lose out on any potential financial gain and it will therefore be an entirely pointless exercise. Yet the fact that you won’t be able to collect your winnings isn’t the only reason why a bet on the apocalypse might not be the most sensible thing to do. Getting yourself into a mindset whereby you think the world is going to end can mean that you start to lose sight of the important things in life, even to the extent that you become frivolous with your money. It’s not unreasonable, after all, to think that there’s no need for cash if the world’s coming to an end. That’s what happened to a Christian cult in America in 2011, who spent the $100 million that they raised in donations and ended up being destitute when the world kept turning. In other words, even if you think your premonition about our imminent doom is nailed on, maybe don’t place too high a wager on it coming true in case you end up being wrong. Ok, so placing a bet on who the next Pope will be isn’t all that weird in and of itself; after all, there will definitely be one so why not win some money by guessing who it will be? No, the weirdness here comes in the form of some of the people you can bet on becoming the next leader of the Catholic church. The result of the 2016 referendum for the United Kingdom to leave the European Union proved to be a divisive one, with many feeling that another referendum would have been sensible once people knew what leaving would actually look like. 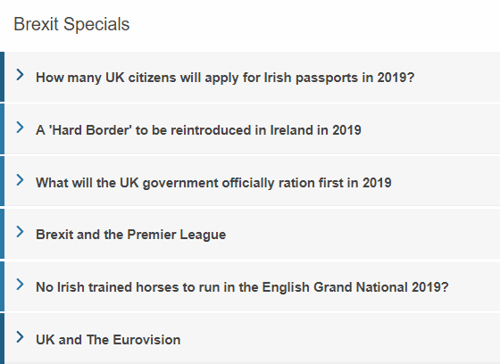 As the British government struggled to find a solution to the problem, however, bookmakers decided to offer odds on some markets that would have been inconceivable before the process got underway. 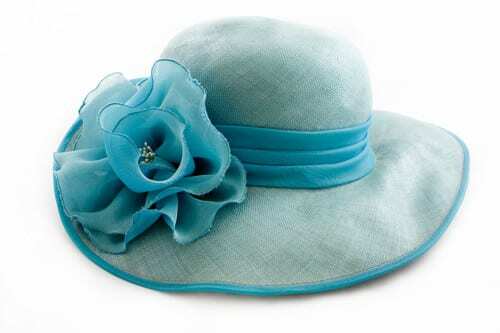 We mentioned that betting on the Royal Family is always popular, with a wager on the colour of the hat that the Queen wears at Royal Ascot being up there with the most common. Usually lovers of Ascot are more interested in betting on horses than clothing, but the Queen’s hat has become big business for bookmakers willing to offer odds on the colour of it. One might not be impressed, but bookmakers have had to close the books on the colour in previous years after receiving large wagers from the Windsor area. Bets on the colour often tend to be in the £5 – £10 region, so when bets of £1000s started being placed it was suspected that someone had some insider info. It’s not as weird as the possibility of giant monsters destroying the earth, but it’s still a unique topic for a bet. Previous Post: « How Will the FOBT Stake Reduction Affect High Street Bookmakers?